Use the versatile MIRKA Water Squeegee for both the rare wet sanding project, as well as the everyday use as a drying tool. 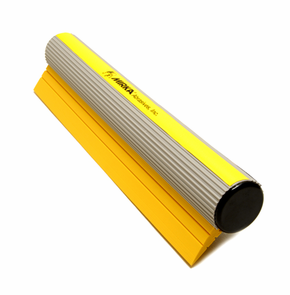 MIRKA Water Squeegee was manufactured for one specific purpose but actually has much more potential! Originally designed to remove water from your vehicles surface while wet sanding, the MIRKA Water Squeegee will also help dry your paint, windows, and other surfaces in record time! The clear coat safe, 3 inch silicone blade and ergonomic hollow aluminum handle provides a risk free drying and wet sanding tool!